Portal – resource on the Internet, which is available on the addresses shootinfo.com, shootinfo.ru, zenq.am and presents a database, graphic processing of the appearance, any separate elements of the design, system interconnected with other resources, set of entities with individual rights. Administration – body, which is responsible for the organizational and legal affairs of the portal. User – citizen of any country or a legal entity using the portal in the defined order. Moderator – user authorized by the administration organizing the work of the forum in accordance with the established rules. Message – any type of information posted on the portal by the portal administrators (moderators) as well as by the users within their jurisdiction. Goods – any type of goods, products, services and offers, on which the user posts a statement on the portal. Statement – message posted by the user on the portal arising from his interests or the interests of the third parties on sailing, exchanging, purchasing or drawing attention to any product. Seller – user, posting a statement on the portal about buying and selling. Shopper – user, searching the item of his/her interest in the statements posted on the portal or negotiating with the seller on the statement posted by the latter. Didactic material – any type of photo, video or audio file available on the portal. Registration – complex set of defined order activities on the portal in accordance with the rules noted by the user, in the result of which the latter gets the power to post statements or to participate in thematic forums on the portal. Agreement – the following set of usage rules is considered to be an agreement concluded between the portal administration and the user. Commercial announcements – is a separate field that includes chapters and sub-chapters on the following topics: military, security, expo and extreme rest. Placing ads in this section is not free. To change unilaterally the usage rules, the appearance, the form and the nature of the functional features of the portal without any special notice. To edit the titles and the original text of the messages posted by users, as well as to group or ungroup the texts, conforming them to the existing themes (the following function can also be provided by the moderators in the forums). To remove the message posted by the user. To warn the users of the portal of their errors or breaches (the following function can also be provided by the moderators in the forums). To shut down temporarily or permanently the user’s access to the forum or to the platform of announcements for violation (the following function can also be provided by the moderators in the forums). Do not allow again the registration of the user who has previously violated the rules on the portal. To provide the existing information on the user, who the law enforcement bodies are interested in, except the cases intended by the local or international laws based on the relevant decision of the Court. To develop or revise the information supplied by the user during his/her registration, in order to give him permission to perform the appropriate function. To renew, remove or import any information relating to the theme of the portal. To learn about available public information existing on the portal. To learn the usage rules. To sign an agreement with the portal administration. To register properly on the portal or to stop the registration. To place a purchase and sale statement of any product relating to the theme of the portal. To update or remove the purchase and sale statement posted by him/her. To publish or remove the comments posted by him/her that relate to the themes pursued by the bloggers. To participate in the forums, discussions, as well as to come up with the proposal to establish a new thematic forum. To remove the comments and messages posted by him/her. To submit proposals, as well as to criticize the work of the administration and moderators through the direct communication with the administration of the portal, via e-mail. To threaten, insult or ridicule the participants, the portal administration, the moderators or the third parties, to post any type of discreditable materials relating them. To use in the messages swearing, offensive words and sentences, including letters expressing the meanings listed above, as well as separately abbreviated or disguised versions of words. To use the forum platform for the clarification of personal relationships. To post didactic materials, messages or hold discussions about explosives, improvised weapons, arms, household or other conditions of ammunition preparing methods, about the ways of procuring the necessary elements, materials and mechanisms. to post didactic materials, messages or hold discussions causing violence, enmity and hatred against people, animals and the environment in overt and covert form. To post messages and didactic materials with questionable or contradictory content to the universal moral norms. To post didactic materials, messages or hold discussions that may mislead or deceive the other participants. To post didactic materials, messages or hold discussions about causing mental disorders among people and the masses in direct or indirect form, as well as about their methods, means and ways. To act with calls to overthrow the constitutional order of the state, incite riots, disturb the public order, disturb the normal course of any organization or process or with other themes contradicting the state laws, as well as to post didactic materials or messages advocating the above mentioned processes in overt and covert form. To hold overt and covert discussion, to post didactic materials on political, religious, racial, sexual or on other themes not related to the portal theme. To use automated programs to access the portal. To disrupt the normal operation of the portal, including the overload of the portal infrastructure. To post or spread through the portal computer viruses, programs, files, codes, HTML tags, which contribute to the curbing, change, destruction of the computers, telecommunications devices and programms and to illegal logging, commercial software product generation serial numbers, usernames, passwords and other materials. To publish messages and didactic materials containing state, commercial or confidential secrets (this provision also refers to the statements). To create more than 1 profiles (this provision also refers to the statements). To post messages, didactic materials or link with open or disguised advertising content (this provision also refers to the statements). To use invective or offensive usernames, signatures. To act on behalf of another participant without his knowledge. To publish any personal information about someone else without his knowledge, except when the information is taken from open sources. The source of the information is required to be mentioned in this case. To respond the participant’s question referring to other website or forum. To continue to discuss anything that was removed from the forum by the portal administrators and moderators. To post a message, which exclusively consists of smileys and other fun images and does not reflect any sense. To use the forum as a chat. To sell their own username or another participant’s usage data existing in the portal. The frequent application of any participant of the forum to the other participants with personal issues. You can use e-mail or other means of communication for this. To conduct forums or hold discussions in languages other than Armenian, Russian or English, moreover, to use the respective alphabet for each language. To violate the rules of posting statements. To post a statement to sell stolen goods. To post a statement about the purchase or sale of any product, which is prohibited by the respective legislation, legal regulations and decisions of your country. To post statements about the purchase and sale of explosive substances, devices, weapons of mass destruction or other supporting materials and equipments. To post statements about the purchase and sale of radioactive substances, isotopes and other chemical elements, materials, which are banned by legislation or international conventions. To provide false or misleading information to the portal visitors. To use false or other persons’ data. To use service characters, dots, the same or useless items, unrelated to the content, in the title or in the whole content. To post statements fully or partially violating the copyright, trademark or property rights, as well as to use such elements in the statements content. To post a statement unrelated to the theme of the site. To post statements on behalf of terrorist, extremist, political and religious organizations. To post a statement which contains illegal offers or provides illegal information about any activity, service or product. To put e-mail, telephone number or other contacts, and web links in the content, except the designated fields for data (except for ”commercial ads”). To post such a statement, the description or the value of the product mentioned in which does not correspond to the reality. To use sales, special offers, urgent, special prices, super offer, attention, novelty or other marketing verbal conjugations in the title or in first line of the content (except for ”commercial ads”). To post statements with multiple text and content errors. To include personal or contact information in the didactic materials posted in the statement (except for ”commercial ads”). To post a statement on any product, if it is an online store or website pages’ link. To post a statement about the sales of the animals, birds, aquatic animals and fish included in national, regional and international red books, as well as prohibited by other legislation of the applicant’s country. To use a username that advertises any other domain. To post the same statement more than once. To sell more than one product in one statemento (except for ”commercial ads”). To post statements about the purchase and sale of any type of improvised, changed weapons and ammunition. To use statements or words degrading and discrediting the person, provoking ethnic, religious or civil conflicts. 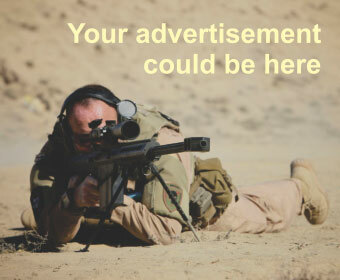 To post an advertisement of any product or service (except for ”commercial ads”). To post a statement aimed at obtaining information on users. To use interrogative or exclamatory punctuation. The content of the statement must be strictly informational. To post a statement out of the intended field (except for ”commercial ads”). To post the same statement in different fields, in the same or different times. To use one or several consecutive words in the title written entirely in capital letters or lowercase (except for ”commercial ads”). To post such statements, the lines of data necessary for the posting of which are filled in incorrectly or incompletely. To post pictures exceeding the 1 MB. To post more than 10 photos in a statement. To use more than 300 words in a statement. The messages, didactic materials of all types, available on the portal and imported or posted by the users, reflect the opinions of the authors and the administration is not responsible for this. The portal is not a transaction organizer nor a transaction party. The portal is not responsible for any damage caused to one of the parties during the transaction. The portal is not responsible for the completion of any transaction between the users. The portal is not responsible for the content of the posted advertising boards (banners), as well as for all possible consequences arising from it. The portal administration does not guarantee its regular work or the loss of data inserted by users or available on the portal; there is always the risk of the loss of data and the failure of any resource on the Internet. The portal does not guarantee the absence of errors in the materials posted by it. The portal administration is not responsible for the disputes between the users; the disputes should be resolved between the portal’s users without the involvement of the administration. The following agreement is available on the portal in Armenian, Russian and English languages. The agreement is perpetual, it shall enter into force immediately after the user’s registration on the portal shootinfo.com (shootinfo.ru, zenq.am). The unawareness of the rules does not exempt the user from liability. The rules are applied to all users without exception. Any type of information posted on the portal by the administration is not a state, official or commercial secret. The user must take into account that any offer, sale or purchase transaction available on the portal, can be no real or illegal. In the dynamic changing Internet domain it is not possible to take into account all situations of life and to keep steady the prescribed provisions, so any problem arisen is studied separately and its solution can be partially or completely inconsistent with the rules. The information posted on the portal by the administration can be updated regularly and can be outdated. The agreement is considered to be signed appropriately between the parties when the user reads the above mentioned terms and gives its consent by pressing the appropriate button.